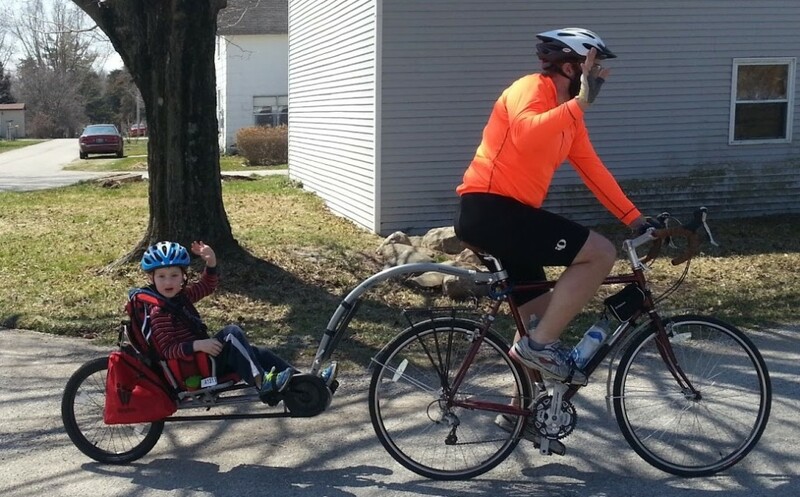 Dad and Son in Training! I have been involved with Lafayette Habitat for over 5 years now as a Board Member, IT Volunteer, and occasional builder. It is a great organization that changes lives and has transformed neighborhoods in Lafayette! Support us and Lafayette Habitat!!! 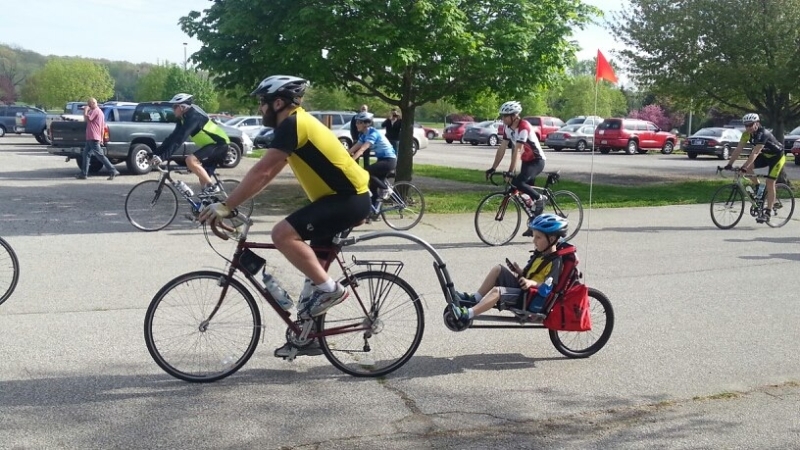 My 5 year old and I will be participating in the Cover Indiana Ride for the first leg between Lafayette and Crawfordsville on Sunday May 5th covering 51 Miles!!! Thanks to everyone who supported us. We were able to hit our goal of $1000 and surpass it hitting $1234. That is a little more than $23/mile. Other than a tough head wind on the last part of the trip was great and JDM had an awesome time! Good luck to all the riders going for the full 7 days have a safe and fun trip! Above is a series of pictures from our trip and below is a picture of the route we took.